Authentication Solution Providers’ Association (ASPA), the world’s only non-profit Association representing the interests of the entire authentication solutions industry, will be exhibiting at the seventh edition of the Label Expo 2014 being held at Pragati Maidan in New Delhi on October 29- November 01, 2014. The one-of-its-kind label event in South Asia brings together renowned names from the labels, printing and packaging industry, featuring nearly 250 companies across a sprawling 5,800 sqmts. 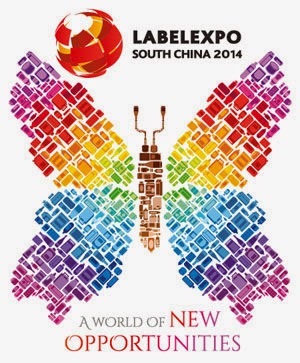 ASPA is a partner for the Label Expo 2014 event and will be exhibiting at Stand #G36 in Hall #11. ASPA member companies already protect over 10,000 brands worldwide through the authentication of legitimate products and documents. ASPA works closely with world renowned authorities such as Interpol, Counterfeit Intelligence Bureau (CIB) and International Hologram Manufacturers Association (IHMA) to safeguard the larger interests of the authentication solutions industry. ASPA will be accepting requests for full and associate membership at its booth during all four days of the Expo. Visitors can also collect their complimentary copy of ASPA’s official quarterly journal, The Authentication Times, from the booth. ASPA binds itself to the promise of 4C’s for its members, by being committed, connected, current and credible. 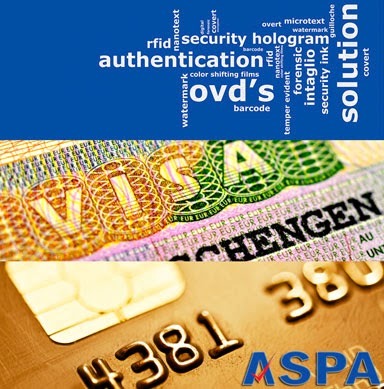 Typical organizations eligible to apply for ASPA’s full membership include security hologram producers; state printing works and commercial high security printers; issuers of passport, ID and travel documents; suppliers of security substrates, and security features such as biometrics; identity card manufacturers and personalizers; suppliers and integrators of ID document projects such as passports; vehicle registration plate manufacturers; Bar code and RFID solution providers; and any other authentication solution providers. Suppliers to authentication solution providers, resellers, consultants and research & training providers are eligible to apply for an Associate membership. ASPA also accepts foreign members, honorary members and patrons. Members are bound by ASPA’s Constitution, Bylaws, Code of Conduct and any amendments made by the Association. Dow Corning, a global leader in silicones, silicon-based technology and innovation, unveiled its new, high-performance Syl-Off Release System at Labelexpo India 2014. The new system combines Dow Corning’s industry-leading Syl-Off SL 35 Release Modifier and new Syl-Off SL 411 Coating to help customers optimize quality control and cost-effective manufacturing. Dow Corning is showcasing the new system here at stand #H41, along with the company’s broad Syl-Off family of products. The company is also featuring its full line of extreme-performance labeling technologies, including pressure-sensitive (PS) silicones, pressure-sensitive adhesives (PSAs) and emulsion coatings. Syl-OffSL 411 Coating, introduced here today, is a new solventless silicone release polymer technology that offers low platinum levels and optimizes high-speed performance. It provides fast cure and extremely stable release for applications involving bulk roll pressure-sensitive label stock, food packaging and industrial release papers using glassine and super-calendared kraft (SCK) substrates. Syl-Off SL 35 Release Modifier, used together with Dow Corning’s new Syl-OffSL 411 Coating, offers tightly controlled, but flexible modification of a coating’s release force. It combines very low platinum levels with superior stability and shelf life to optimally balance quality control and cost savings. This new addition to Dow Corning’s leading-edge Syl-Off Advantage Series improves the manufacture of pressure-sensitive label stock, single- and double-sided release papers, liners for adhesive tapes and other coatings for sticky materials. Dow Corning developed the Syl-Off Advantage Series of solventless silicone technologies to help customers reduce exposure to variations in platinum prices without sacrificing release performance. The Syl-Off Advantage Series offers a comprehensive selection of base polymers, crosslinkers, release modifiers and catalysts – all engineered to optimize flexibility in controlling release, cure and cost. Flexo Image Graphics sold the Rotoflex VSI 330 to Jain Transfer Products, Noida yesterday at Labelexpo India. The company specializes in the custom printing of self-adhesive labels. Employing the latest and finest print technology, JTP strives to deliver products meeting or exceeding international quality standards. Printing on variety of materials ranging from films, paper or foils using leading printing technologies, JTP serves varied industries. With a state of art printing unit with a Mark Andy as well as other rotary label press, JTP went in for Rotoflex VSI 330 to provide cent percent accuracy to their clients and help them to gain a competitive edge. Designed specifically to provide high-quality, the Rotoflex VSI 330 inspection/rewind machines not only detects defects but also indicates roll label count in multiples of 10", 12" or 10 CM lengths. Its auto setup allows for the automatic sensor calibrations and label repeat length detection using a limited web sampling distance. It also detects leading or trailing edge of each label - an essential feature for clear on clear labels where an opaque print of 3mm by 3mm or a capacitative sensor is required. According to Mr. Sudhir Jain, “The decision to invest in a Rotoflex VSI 330 finishing was easy as we already have a good experience with FIG and Mark Andy. The technical support offered by FIG at all crucial times has made it an easy decision for us. Also thanks to our manufacturing team that actively keeps looking for ways to make our quality better. 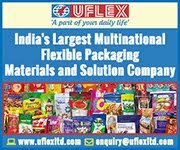 This will add in achieving excellence, maintain quality to produce and deliver consistent labels for our esteemed customers”. Epson sold SurePress L-4033AW to J P Printers in Mumbai. The deal was announced yesterday at the Labelexpo India show. The company will use the press for printing short run labels and creating mark-ups in cosmetics and speciality food segments. The Epson SurePress L-4033A Digital Inkjet Label Press makes short run printing much easier, faster and more efficient, giving you higher productivity and profitability. Not only will it streamline your current workflow, it will add to your bottom line by allowing you to accept additional short run jobs. What’s more, print quality is exceptionally high, with accurate colour reproduction for precise colour matching. It supports a wide range of standard label stocks, and is extremely easy to operate and maintain. This is the third press that Epson has sold in the current financial year. The first was installed at Sai Packaging in Bangalore and the other at Trigon in Mumbai. 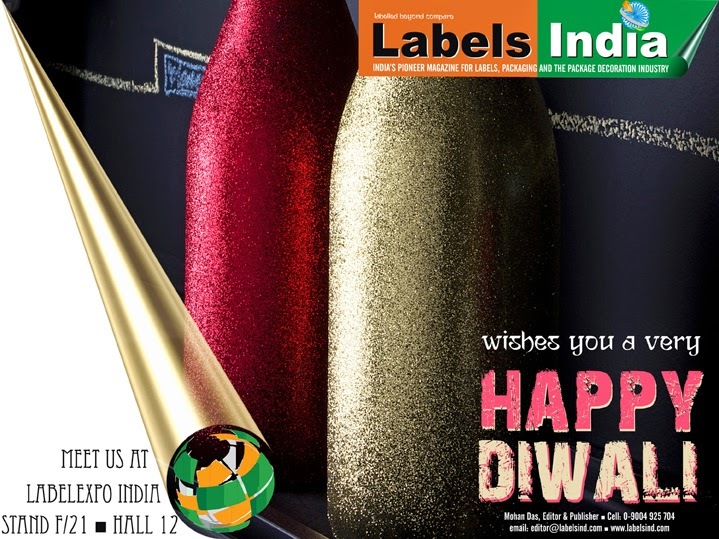 Come October 29th and doors will open to the largest event for the label, product decoration, web printing and converting industry in South Asia - Labelexpo 2014 - the seventh edition of the show that returns to Pragati Maidan, New Delhi. The biggest label and package printing show in South Asia, Labelexpo India will see new technology from many local manufacturers as well as some of the major international players. There will be an array of new launches of flexo /digital presses, pre-press innovations, a range of ancillary equipment suppliers amongst other displays. Organized for the 4th time by the Labelexpo Global Series and third time under the Labelexpo banner, as of now, all pointers are towards a bigger better show that is sure to eclipse all the earlier versions. Supported by key trade associations across India, including the LMAI, ASPA (earlier HoMAI), The SPAI, AIFMP & other leading associations, the show is packed with over 200 exhibitors. For the first timers and the new entrants to the industry, it’s the place to learn about global market trends, see live demonstrations of the most advanced technologies available, compare the latest materials and find out about the newest developments in flexible packaging and intelligent labels. Spread over four days, the show is aimed at labeling and packaging printers/converters, brand owners and label designers, many new product and technology launches are scheduled to take place. As well as the latest advances in label materials, films, sleeves and wraps technologies being showcased, there will be an a lot of working presses at the show all giving live demonstrations. At a time of ever-changing market conditions, converters require equipment that provides total flexibility for the future, with an option of upgrading at a later date, revealed a converter who will be visiting the show. “With automated machinery, the machine sets the production pace, not the operator,” revealed another. With these kinds of expectations, the visitors at the Labelexpo India should be happy as the new organizers report that the show will have several running machines alongside product launches, and you can be sure the latest equipment will be fast, flexible, and rich in features. 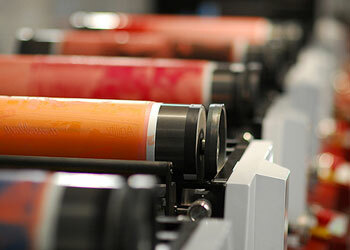 The show is set to feature prominent players bringing new flexo technology to the show. From Nilpeter and Omet’s high performance presses to new launches from Multitec and Alliance Printech, there will be a wide gamut of equipment for everyone who visits Labelexpo India. Italian Label press manufacturers Omet Srl will be displaying their state of art 8 color new label press, the Omet XFlex X4 at the show. This all servo press with advanced controls on a low-budget press, operator-friendly with maximum security shorter web path, minimum waste, gearless anilox roll, Omet’s unique Rock’n’Roll matrix rewinder for increased productivity, delam-relam, web turnbar, cold foiling unit, fully automatic register control system capable of registering in machine direction and cross direction without manual intervention, etc. Nilpeter is also set to showcase an 8-color servo flexo press - the FB-3300S. 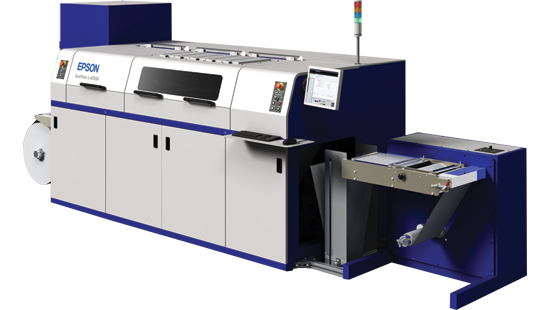 The press with a short web path and equipped with corona treater, web cleaner, chill drums on all units, movable cold foil, and a 100 percent print defect inspection system also features a value-adding gravure unit for metallic inks, solids, and coatings. Leading the bandwagon on the Indian flexo press manufacturing front Multitec will be displaying not one but three presses at the show the Ecoflex, Ecoflex VSi ELS and Ecosmart. With live demontrations of Ecoflex VSi ELS and Ecosmart, these 2 new models are the new launches at the show. Rotatek will unveil Smart flex and will be on demonstration at the company’s Indian agent, Provin Technos stand. An advance modular UV flexo machine with shaftless technology, this press is being launched for the Indian market. Alliance Printech on the other hand will launch its new modular flexo label press with outstanding features like top loading print and anilox cylinders, quick job change, shorter web length, servo drive controls, etc. Global Graphics and Weigang Machinery will jointly display the ZX-320 intermittent offset and ZBS-320G flexographic print presses at the show. Also demonstrated will be an off-line converting and finishing equipment and an off-line label punching machine. UVGraphic Technologies on the other hand is all set to launch an advanced flexo presses later this year. However, at Labelexpo India, a glimpse of two stations of this press is offered. With the Indian label industry experiencing a gradual shift towards digital printing, this year’s Labelexpo India is more digital. This year’s show will be boosted with not only a large number of working machinery on-floor, but the latest and the best launched globally will be running live at the show. Digital and inkjet players on the show floor include names like Xeikon, Epson, HP, Technova and Vinsak. Xeikon will be displaying a Xeikon 3030 digital press, a narrow web entry level press of the Xeikon 3000 series, in roll-to-roll configuration. To run live demonstration for a range of applic-ations, the press runs at a top speed of 9.6 m/min and can handle production volumes of up to 190 m²/hour. HP on the other hand will give live demonstrations of its new HP Indigo WS6800 digital press. The third generation of HP Indigo WS6000 digital press series, this press offers breakthrough productivity, versatility and advanced color management.Delivering the industry’s highest crossover point in narrow-web production versus analog for the vast majority of pressure-sensitive label jobs the press will help support the rapid increase in digitally produced labels. 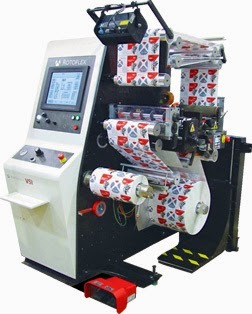 When it comes to printing personalized security labels with fully variable information, or frequently changing print, the Vinsak LVPI is the unique solution as it offers both flexibility and high performance. 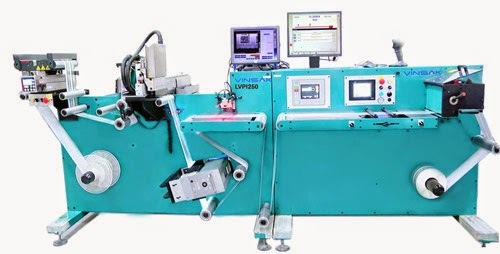 Vinsak will be displaying this high performance LVPI 250/330 variable data printing and inspection system at the show. With installed Vinsak VIS 1200, UV drying unit and camera on the Vinsak rewinder, it is possible to print personalized data digitally onto various offset papers, coated papers, gloss papers, PET, BOPP etc. It also offers 100% code verification for security labels to avoid counterfeiting for track and trace. Epson will be demonstrating the SurePress L-4033AW - the new breakthrough innovation in short-run digital label presses. 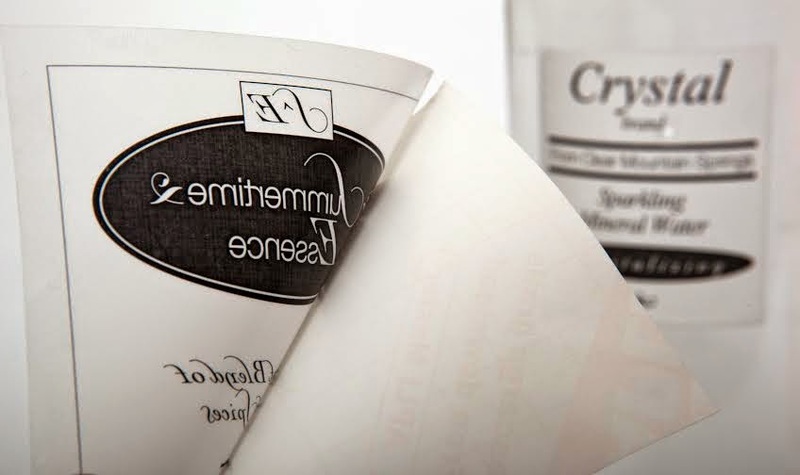 The L-4033AW uses a seventh white ink to print the transparent ‘no-label’ look, as well as metallic labels catering mainly to the cosmetic, health and beauty markets. On the other hand, the opaque white printing on materials such as clear film and metallic substrates, gives you the flexibility of printing white first or last. Technova will be launching its SmartJet LP 112 digital inkjet label press at the show. 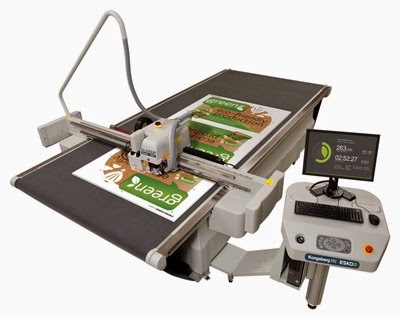 Claimed to be a high-speed high-resolution device designed for short-to-medium run process-color narrow web printing of labels, tags and documents, it can print on a variety of media including self-adhesive and pre-die cut labels. Newly appointed South Asia Country Manager for UPM Raflatac, Mr Pravin Varshney along with UPM Raflatac’s label experts will welcome visitors under the theme ‘Engineered with Raflatouch’ at their stand. Product highlights at the show include the thin Raflex MDO label film and the ‘RafCare’ wet wipes range for personal care labelling, and the RP 31 Purus adhesive for pharmaceutical end-uses. Themed on ‘Inspiring Innovations. Sustainable Growth’, Avery Dennison will showcase numerous innovations as well as demonstrate Avery’s latest developments in pressure-sensitive technology with a particular emphasis on sustainability solutions. Apart from sharing information and knowledge about the working of label stocks, SMI Coated Products will be showcasing new samples sets along with revolutionary specification sheets - an important tool for all label printers and end users alike. As label stock materials have been shrouded in secrecy for too long, SMI believes that all parties should have adequate knowledge about label stock materials. To aid the industry, SMI will be launching the curve diameter indicator with suggested label stock solutions from SMI. Kaygee Loparex will display its new range of Glassine, CCK and SCK release liners. The range includes prime grade as well as cost-effective grades ­­and includes 50 gsm Glassine C1S release liner, 55 gsm CCK C1S release liner and 67 gsm SCK C1S release liner. Univacco Stamping Foils in asssoicaion with its exclusive Indian distributor ‘Dhana Impex’ will launch hot stamping foils for rough-surface substrates, overprinting and embossing applications. Armor, France that started its Indian operations recently and Re Controlli Industriali, an Italian company will be amongst the first time exhibitors at the show. While Armor will showcase APX FH+, a new wax/resin ribbon dedicated to flat head printers, Re Controlli Industriali will showcase SmartMotion web guide system & the WLigo remote controller. Planned for small and medium size web guide systems, SmartMotion is the new control unit fusing the stepper motor and the drive technologies into a single device, while WLigo remote controller manages multiple hardware devices that allows the control of more web guide systems connected in series. Monotech Systems will launch its new Jetsci VSRI range of solutions. To run live demonstrations at the show, the Jetsci offers solution for track and trace consisting of roll to roll slitter and rewinder with variable data inkjet printing. Monotech will also launch a range of low cost label slitters and rewinders for the label printing industry. Also on display would be samples from Scodix, Highcon and EFI range of products targeting the niche segment in label printing industry. GEW that announced the start of serial production of Rhino power electronics for use with its range of arc lamp and solid-state UV light sources will be displaying it at the show floor. U V Graphic Technologies will launch its all new LED UV curing systems for flexo, offset, gravure and letterpress. UV now has an option to upgrade existing conventional mercury UV lamp systems that are powered with the EPS to an LED UV system. On display will also be a new web video inspection system that supports colour distinguishing features with high speed reading capabilities of RGB / CMYK values at the substrate with real time values displayed. The visitors will also see the new Combi Plate Mounter which works with a wide variety of cylinders to go on conventional machines as well as the latest machines. RotoMetrics will introduce anodized print cylinder, which is positioned as an economic alternative between Standard and Hardcase grades, offers the same precise tolerances as the Standard but has added surface protection for improved scratch resistance and protection from corrosion. RotoMetrics will also showcase the new through-hardened, machine-finished RD300 for cutting disposable medical substrates, dust-sensitive labels and tags, in-mold labels, etc. Another product on display will be Pin Eject solution that offers a method of preventing build-up of small die-cut slugs. It was designed for challenging cavity sizes as small as 0.0625 inch (1.6 mm). Precise Graphic will launch high speed slitter rewinder SR330 D. On display will also be an inline hot foil stamping system that can be retrofitted on most of the narrow web flexo printing machines as well as a semi rotary die cutting machine designed for digital and narrow-web label industry. Apex Group of Companies will showcase its patented GTT anilox technology which uses an alternative engraving system to standard cell designs. Esko shall be showcasing the CDI 2530 that is said to achieve results that before were only achievable in offset or gravure. Kodak will display its commercially released new extensions to Kodak Flexcel NX system for post-print and pre-print corrugated markets. 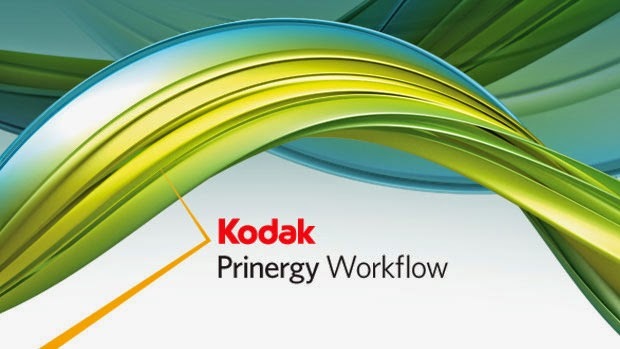 Formulated for post-print applications delivering improved ink coverage, reduced fluting, better highlight reproduction and cost-effective on-press performance, the new Kodak Flexcel NX Wide 5080 system includes a newly designed imaging platform and laminator that enables plate making in formats up to 50 x 80 inches. In midst of all the latest technology announcements, running machinery, new launches and networking, Labelexpo India will be hosting in partnership with HP Indigo the inaugural Brand Innovation Summit. A half day conference for brand owners, it will will focus on the role and importance of label printing in a brand’s design and ultimate sales performance. To be held on October 30 at the HP stand from 13.45 hours onwards, the session is meant for a meaningful discussion on new and cost effective labeling methods for brands. An invitation-only session will start with a brief overview of the FMCG market in India. Christian Menegon of HP will then present an overview of the labels and packaging industry while supporting it with case studies from the world over. This will be followed by a panel discussion on the challenges faced by brands and the solution for getting the branding right each time. Discussions will include topics such as hitting the right color and achieving consistent end results, cost reduction and security printing. Confirmed panelists include prominent names such as Hitesh Shenoy, head of technical packaging ISC, China and AP, GlaxoSmithKline Consumer Healthcare; Biswajit Basu, head of packaging development, Reckitt Benckiser Health and Personal Care; Deepak Manchanda, associate director of business development, Firstouch Solutions and Christian Menegon, business development manager, HP. With so much happening at Labelexpo India, its also time to discover a new high at the Bar. Weldon Celloplast will be re-creating the Technology Bar that will feature technology from renowned names as Omet, ETI Converting Equipment, Delta Industrial, Martin Automatic, Link Label Machinery, Berhalter, FAES, Nikka, Lartec, Lundberg Tech and Vetaphone. Weldon Celloplast is the Indian arm for all these companies. In addition Labelexpo India will again play host to the LMAI Avery Dennison Label Awards where more than 600 printers/converters, suppliers, brand owners and members of the media attend this prestigious gala evening. To be held at Hotel Le Meridien, New Delhi; the best Indian printers and converters will be recognized and awarded for their excellence and contribution to the advancement of the Indian label industry. 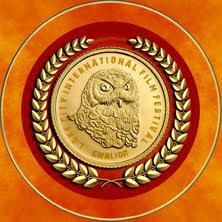 All Indian winners will be entered into the World Label Awards. Colordyne Technologies (CDT) is showcasing its new Production Class 3600 Series Laser Pro Digital Printing Press in N-5879 at PACK EXPO 2014, Nov. 2-5, at McCormick Place in Chicago. CDT is a leader in providing digital printing end-to-end solutions. Increased resolution and speed, while at a competitive price, are characteristics that make the CDT 3600 Series Digital Printing Presses stand out among the competition. Powered by Memjet™ printhead technology and built with an entirely redesigned web handling system, the CDT 3600 Series presses feature the latest in proven closed-loop tension control technology and are available with low cost inline finishing options and configurations. The CDT 3600 Series brings several benefits to the Production Class Digital Color Printing System. Benefits include enhanced print quality and resolution of 1600 x 1375 dpi; greatly reduced RIP times; speeds up to 225 ft/min (69 m/min); and a more user-friendly interface. In addition to seeing the new CDT 3600 Series Laser Pro in action during live demonstrations every hour, PACK EXPO attendees can see live demos of CDT's benchtop printers; the CDT 1600-C Continuous Digital Color Printer, an industrial class printer with the ability to print in continuous rolls and fanfold formats, and the CDT 1600-S Sheet Format Digital Color Printer, which is ideal for personalizing and customizing invoices, inserts, forms, coupons, envelopes and more to increase customer retention, brand recognition and cross-selling activities. CDT is focused on providing continued innovation, made possible through a modular printing platform that is designed to be upgraded as future product enhancements become available - providing a flexible and responsive long term investment in digital color printing. To learn more about how the new CDT 3600 Series Digital Label Printing Press can benefit your business and operations, visit Colordyne in booth N-5879 at PACK EXPO, or visit www.ColordyneTech.com. Global anilox roll supplier Harper Corporation of America is a strong supporter of education, sponsoring and participating in numerous initiatives to raise funds for programs, scholarships, and other causes. The company recently donated the funds necessary for the Phoenix Challenge Foundation to purchase a Mark Andy 830 press for installation at a school aiming to develop its flexo program. Providing students with the equipment necessary to support hands-on learning in the field is essential. The Phoenix Challenge Foundation will be installing the newly purchased Mark Andy 830 press at Illinois Central College in East Peoria, Illinois. The press will be a step toward helping to start the Flexo program within the college and give students a better opportunity to learn hands-on skills through using the press and expand their knowledge. Harper Corporation of America proudly supports the Phoenix Challenge Foundation’s efforts to create, inspire, build, and grow tomorrow’s workforce in the flexographic printing industry. AWA Alexander Watson Associates have published The Linerless Label Market 2014 - a third edition of their in-depth international market study of one of the emerging features of the pressure-sensitive label market in recent years. 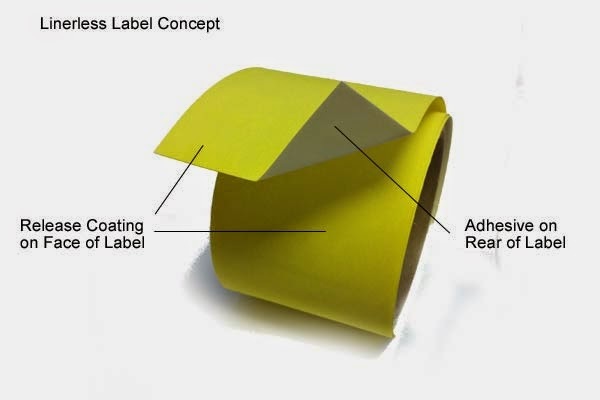 A product identification concept which took its first steps in the 1980s, linerless labeling has now established a focused technology chain that has enabled it to take a small but definable share of the mainstream labeling market, both in primary product labeling and in variable information print. The Linerless Label Market 2014 delivers an updated, independent, wide-ranging assessment of the various applications for pressure-sensitive labels today which do not involve the use of a release liner. One of the major technology drivers for linerless labels is the cost savings which may be made by eliminating a liner, along with productivity improvements and a ‘leaner’, more sustainable labeling process. Typical primary product label applications include supermarket meat, poultry and fish priceweigh tray prepacks (with additional thermal price/barcode print), as well as other options in foods, petrochemicals, and the home and personal care markets. The report details material, technology and machinery developments, to provide a focused insight into the current technology platform and the issues and challenges for label converters and end users, in the context of the pressure-sensitive label market as a whole. Color-Logic and Scodix have collaborated on a new swatchbook that demonstrates the power of the two techniques to produce multiple special effects. The swatchbook was printed using the Color-Logic process with CMYK and white ink on Derprosa substrate, creating metallic special effects which can be readily duplicated from job to job. The Scodix Sense process was then used at three different depths to coat the swatches, creating different hues depending upon the Scodix Sense coating thickness. The swatchbook dramatically demonstrates the versatility available to graphic designers when combining the Color-Logic and Scodix processes. "Combining the Color-Logic with Scodix processes requires a cooperative investment from both companies," said Color-Logic Director of Sales and Marketing Mark Geeves, discussing the swatchbooks. "Printers using both techniques can create an incredible array of metallic colors and special effects, while graphic designers benefit from being able to reliably predict how their creations will appear in print." Developed for brand managers, product managers, corporations and advertising agencies, the Process Metallic Color System gives customers the capability to differentiate themselves and their clients from the competition. By simplifying the design and print production process, users can easily implement eye-catching decorative effects into their branded products and associated collateral. The Color-Logic system is compatible with offset, inkjet, flexography, digital presses, screen printing, and gravure processes. It is ideal for packaging, pouches, direct mail, point-of-purchase material, signage, post cards, literature, booklets, labels, shrink sleeves, calendars and much more. Amcor released its 2014 Sustainability Review and GRI Report, detailing the company’s Sustainability performance for the FY2013/2014 period. Amcor’s approach to sustainability is driven by a framework consisting of five focus areas: Environment, Community, Workplace, Marketplace and Economy. Performance is measured in each of these areas to allow for benchmarking against international standards and other corporate peers. Continued improvement in workplace safety results with the Company’s best ever Lost Time Injury Frequency Rate at 0.5 (29 lost time injuries) and Recordable Case Frequency Rate at 2.0 (128 cases) – a 20% reduction in injury rates compared to the previous year, representing world class performance. Since the start of Amcor’s five year EnviroAction plan in 2010/11, the Company has reduced green house gas emission intensity by 19%; waste to landfill intensity by 53%; and water use intensity by 16%. Nearly 600 life cycle assessments were completed on behalf of Amcor’s customers, bringing the total in Amcor’s ASSET database to over 4,200. These assessments are designed to support data-based decisions that take into account sustainability impacts across the entire product lifecycle. The launch of the Amcor Community Program with five million dollars over five years allocated to the Program to further support local communities. Amcor continues to be recognised in global and regional Sustainability Indices, including the Dow Jones Sustainability World Index, the Carbon Disclosure Leadership Index, (Materials Sector, Australia and New Zealand region), the Ethibel Excellence Investment Register and the FTSE4Good Index. Amcor also received a gold rating in the 2014 Corporate Social Responsibility assessment conducted by EcoVadis. The Amcor 2014 Sustainability Global Reporting Initiative (GRI) Report was prepared in accordance with the GRI G4 Reporting Guidelines (2013). Bureau Veritas, a global leader in sustainability assurance, independently assured data in the report in accordance with Assurance Standard AA1000AS (2008) Type 2 assurance. The report was confirmed as meeting the requirements for GRI 4 in accordance reporting at the Core level. To view or download the 2014 Sustainability Review, detailed GRI Report, or to provide feedback, please visit www.amcor.com/sustainability. Countdown begins to Labelexpo India 2014: Only 2 more days to go..
With only two more days to go, the Indian label printing industry is counting down the days until Labelexpo India (October 29-01 November, 2014) prepares to return to Pragati Maidan, New Delhi. Organized for the 4th time by the Labelexpo Global Series and third time under the Labelexpo banner, as of now, all pointers are towards a bigger better show that is sure to eclipse all the earlier versions. Visitors will see new technology from local manufacturers as well as major international players. There will be an array of new launches of flexo and digital presses, a range of ancillary equipment suppliers and pre-press innovations amongst other displays. Apart from all the latest technology announcements, running machinery, new launches and networking, Labelexpo India will be hosting in partnership with HP Indigo the inaugural Brand Innovation Summit. A half day ‘only by invite’ conference for brand owners, it will focus on the role and importance of label printing in a brand’s design and ultimate sales performance. To be held on October 30 at the HP stand from 13.45 hours onwards, the session is meant for a meaningful discussion on new and cost effective labeling methods for brands. An invitation-only session, Christian Menegon of HP will present an overview of the labels and packaging industry while supporting it with case studies from the world over. This will be followed by a panel discussion on the challenges faced by brands and the solution for getting the branding right each time. And that is not all. Labelexpo India will again play host to the LMAI Avery Dennison Label Awards where over 600 printers/converters, suppliers, brand owners and members of the media attend this prestigious gala evening. To be held at Hotel Le Meridien, New Delhi; the best Indian printers and converters will be recognized and awarded for their excellence and contribution to the advancement of the Indian label industry. Supported by key trade associations across India, including the LMAI, ASPA (earlier HoMAI), SPAI, AIFMP & other leading associations, the show is packed with over 200 exhibitors including: Mark Andy, Xeikon, Nuova Gidue, Omet, UPM Raflatac, Label Planet, Global Graphics, Weigang. 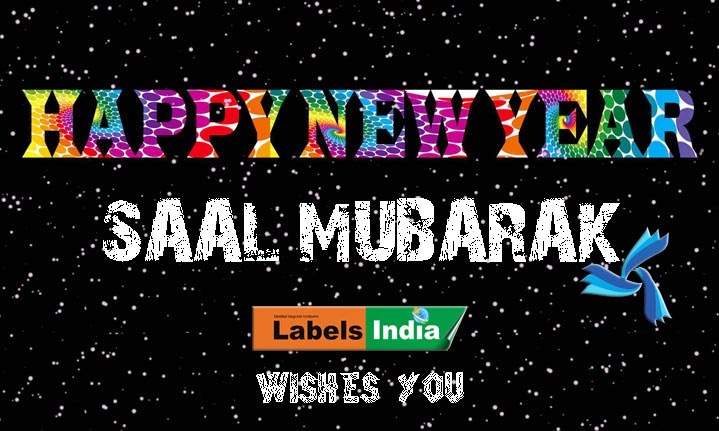 Multitec Aids, R K Label Machinery, BST Sayona, Kaygee Loparex and SMI Coated Products. Entry to the show is free and visitors can pre-register by visiting www.labelexpo-india.com. As usual we at Labels India will be there. Labels India will be launching their limited edition of the India Label Directory at the show. Do visit our Stand F/21 in Hall 12. See you there..
Athena Graphics, one of Europe’s leading prepress specialists for the flexographic industry, recently became the first in the Benelux to install an Esko CDI imager with Full HD Flexo technology. “We have been working with Esko hardware and software solutions since our founding in 1991, and we will continue to do so. Having such a close relationship with Esko enables us to deliver the high quality our customers - both brand owners and printers - are demanding,” says Ignace Cosaert, Managing Director at Athena Graphics. The addition of an Esko CDI imager with Full HD Flexo capabilities takes Athena Graphics another step ahead of the competition, explains Cosaert. “Brand owners today simply demand the very best quality. Printers are looking for new ways to meet that demand. And with Full HD Flexo from Esko, we have found the right solution to satisfy those needs. Because of the unique dot shape this technology creates, we now can produce flexo plates that not only deliver superior printing quality, but also better performance and consistency during the printing process,” he says. At the same time, Athena Graphics can bring cost savings to brand owners “Because Esko Full HD Flexo allows for a much broader color gamut, we are now able to use four or five colors instead of six to get to the same high quality end result,” Cosaert adds. HELL Gravure Systems GmbH & Co. KG in Kiel, a Heliograph Holding company, will be launching further product innovations in the field of direct laser engraving in the period leading up to drupa 2016. Dualbeam technology will soon be available for the Cellaxy laser engraving system for gravure form production. This high-speed dual-beam engraving technology is already available for the existing S1300 and S1700 PremiumSetter models for flexographic printing. The third model in the PremiumSetter series, the S3000, will also be launched before drupa and will have up to four laser sources. HELL has been supplying the market with highly sophisticated laser technologies for 15 years. Having previously focused exclusively on manufacturing electromechanical engraving for rotogravure printing, the Kiel-based company moved into the flexographic printing market in 2000 with the HelioFlex series for CtP laser imaging of photopolymer forms. Launched in 2005, the Cellaxy enables gravure customers to use single-pass or multipass laser engraving on a variety of metals. The first PremiumSetter for direct laser engraving of elastomer flexographic printing forms followed in 2006. Optics and high-power lasers have now also become a fundamental part of the company’s core knowhow. Fiber laser technology is the key component of both the Cellaxy and the PremiumSetter series. It is ideal for high-precision applications at high engraving speeds. HELL took this technology to a whole new level in a joint development with laser manufacturer IPG, delivering the ultimate in beam quality and stability for precise direct engraving of gravure, embossing, and flexographic forms. The CW (continuous wave) fiber laser emits an unpulsed (i.e. continuous) laser beam – this is vital for highly productive laser engraving. The wavelength of 1070 nm lies in the infrared range and the focused beam supplies the energy required to remove the material with absolute precision. 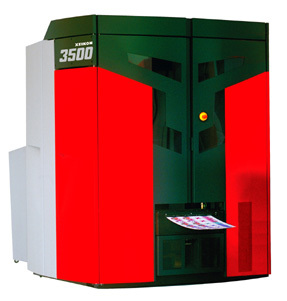 With a 600 W beam, the IPG fiber laser is one of the most powerful in its class. The exit developed jointly with IPG and the latest-generation maintenance-free optical head specially designed by HELL get the very best out of the fiber laser. The high-quality components and the optimum optical setup complete with water cooling ensure excellent beam stability over the entire engraving time. This means that the optical system’s lenses are completely stable despite having a high-energy beam passing through them. Consequently, beam focusing and thus spot size remain constant under all conditions. What’s more, a new kind of plug & play interface between exit and optical head results in an exceptionally service-friendly system. The Twain principle of equipping the direct engraving system with a second optical head enables a further doubling of the production speed. It consists of two optical heads splitting the layout across the cylinder. In the PremiumSetter S3000, the four-beam option will consist of two optical heads (each on its own laser carriage) with two laser beams each. Depending on the material, the 600 W fiber laser engraves an area of 0.37 to 0.6 m⇢/h. The productivity is correspondingly higher with two beams (0.74 to 1.2 m⇢/h at 1200 W) and four beams (1.48 to 2.4 m⇢/h at 2400 W). These figures are pure engraving speed without using the FastForward functions that additionally enhance the machine performance. The PremiumSetter S3000 will set new standards in direct engraving for high-quality flexographic printing and will outperform all other direct engraving machines. With up to four laser sources, resulting in a total output of 2400 W, the S3000 will engrave a far larger format. It will support printing form widths of up to 3000 mm – as the name suggests – and printing form circumferences of up to 1400 mm. Users will benefit from HELL’s in-house synergies between gravure and flexographic printing – not only in terms of optics and laser, but also with regard to hardware. The machine bed, linear drive, bearing blocks, automatic hood, and Twain principle are today used in other HELL products, while the laser, optics, electronic control system, software, job ticket workflow, brush, suction device, and filter technology are all tried-and-tested components of the S1700. HELL Gravure Systems GmbH & Co. KG., Kiel (Germany) develops, produces, and sells systems and solutions for flexographic and gravure printing form manufacture throughout the world. HELL products ensure maximum durability and reliability – from mechanical engineering and software to professional application support, all components come from an expert source. Again and again, the ongoing exchange of information with users and the company’s great affinity with innovations produce outstanding product developments. Implementing customer oriented solutions is always a key focus. 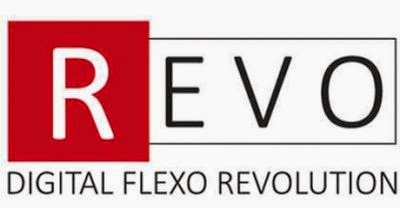 Rotatek (Stall B36) will launch its new SmartFlex at Labelexpo India 2014, a last generation flexo shaftless printing press. 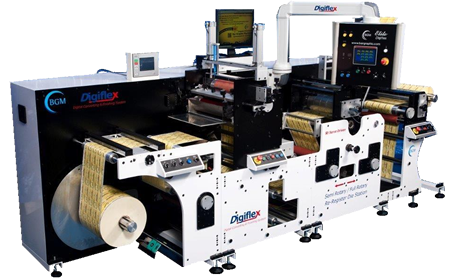 SmartFlex is designed to reduce the web path (saving space and material wastage) and to print on any available substrate in the label and flexible packaging markets. This press ensures maximum productivity, short change over times and the highest flexo printing quality. The new printing press is highly adaptable by the customer, simple and easy to adjustment allows quick job change and minimum set-up time. Moreover, the new house-inside electronic and exhaust duct systems reduce greatly the used space. The SmartFlex incorporates a new automatic register system “Rota Sniper” developed by Rotatek, which offers a great stability and accuracy during all printing process. Besides, is equipped with a rail system for turning bars and/or cold foil stamping units, providing great flexibility to the operator. The die cutting unit is equipped with a cutting depth regulation system with micrometric adjustment, maximum accuracy is achieved. Fast set-up times are also possible due to the magnetic cylinder system. The production line is prepared to run up to 150-200 meters/min for one or two side printing in a single pass and can be easily controlled from the digital panel. Sappi and PrintCity win the prestigious PrintStar 2014 Bronze award in the packaging category. The goal of this innovative project was to demonstrate the possibilities of "Value Added Packaging" in as realistic a way as possible: The El Drago sample packaging was used to provide branded product manufacturers, designers, printers and print finishers with inspiration about how today’s technologies, substrates and processing solutions can be used in an optimised and efficient manner throughout the entire packaging value chain. 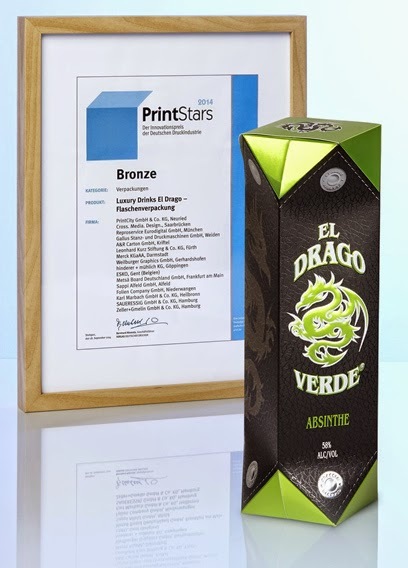 The polygonal premium packaging design used for the El Drago submission validates that it is not out of the realm of possibility to produce an exclusive design with exceptional shelf appeal in an industrial inline production environment. Sappi, whose 350 g/m2 Algro Design SBS carton was used for one of the two packaging options, believes beginning with a bright white carton board is the key to delivering a high quality finish and lower transport volumes while ensuring sufficient rigidity of the box to withstand handling and protect the product. The special shape of the packaging, with its filigree bevelled and inwardly curved sides, provides the ideal backdrop for the special-effect finishes with reflective features that were used in this project. In producing this package, materials and surfaces such as leather, aluminium, chrome and gold were reproduced as realistically as possible. A silver laminate, hot foil stamping, multicolour pigments, gloss and matte varnishes, structural embossing and raised/blind embossing were extremely effective in highlighting exotic dragon motifs. "The El Drago sample packaging is perfectly designed to raise brand awareness and enhance the perceived value of the product it contains,” says Lars Scheidweiler, Product Group Manager for Rigid Packaging at Sappi. “The packaging must appeal to all of a prospective buyer’s senses, and that's exactly what it does!" "Congratulations and thanks go to all the people who have contributed their significant passion, creativity and expertise in a successful collaboration to produce a wonderful example of Connection of Competence in practice," enthuses Rainer Kuhn, Managing Director of PrintCity GmbH. "Third place in such a competitive environment is good, but it is also an incentive for all of us to improve even further with a goal of getting the gold next year! We've still got a few more interesting concepts up our sleeves." 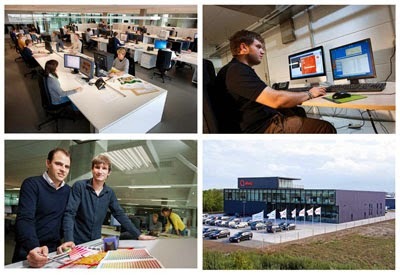 PrintCity is a strategic alliance of well renowned companies operating in the fields of printing, packaging and publishing via a 'connection of competence' across the entire value chain. PrintCity’s mission is to promote and support the value of print and packaging. Sappi Europe is the leading European producer of coated fine paper for premium magazines, catalogues, books and high-end print advertising. With a head office in Brussels, Sappi Fine Paper Europe is known for innovation and quality. The range of graphic paper grades includes Magno, Quatro, Vantage, Royal, Galerie, GalerieArt and Jaz. Algro, Fusion, Leine and Parade are the brands for special labels, top liners, packaging paper as well as boxes. Sappi papers are manufactured in ISO 9001 and ISO 14001 certified factories and all our plants in the EU are EMAS-registered. The Sappi Europe factories have product chain certifications in line with the Forest Stewardship Council (FSC) and the Programmes for the Endorsement of Forest Certification (PEFC). Sappi Europe is a division of Sappi Limited (JSE), a global company headquartered in Johannesburg, South Africa. Sappi Limited has over 14,000 employees and production sites in seven countries on three continents, sales offices in 50 countries and customers in more than 100 countries worldwide. 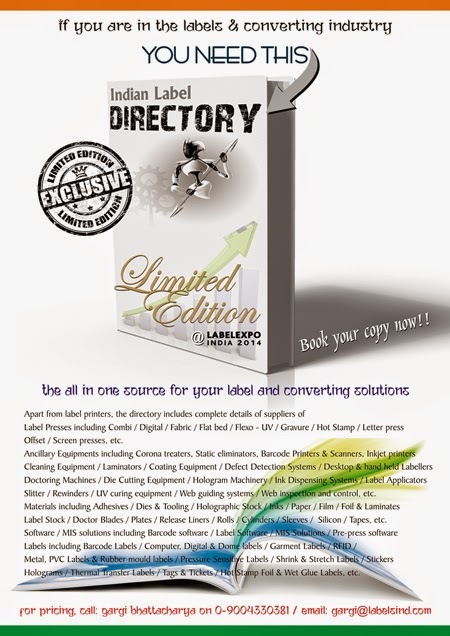 After the stupendous success of the earlier three editions of the Indian Label Directory, Eon Infomedia, the publishers of Labels India - will be releasing a Limited Edition of the Indian Label Directory during Labelexpo India at New Delhi. This Limited Edition will be put up for SALE just during the expo and only limited copies will be printed for circulation. 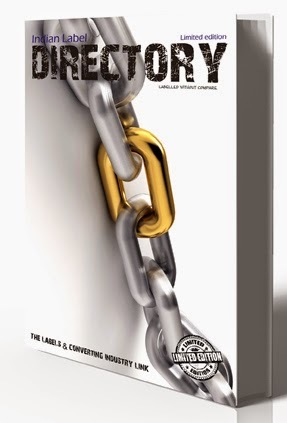 The all in one source for your label and converting solutions and a bible for the Indian Label industry, the Indian Label Directory is a one-stop reference manual for the Indian label industry, giving one instant access to information on equipment manufacturers, materials and services suppliers and printers operating globally with a special emphasis on India and Asia Pacific. This easy-to-use, quick reference guide publishes all the information you need to access Indian label printing and converting industry and featuring manufacturers, dealers, and most importantly, major suppliers of consumables, equipment and services that one can use to make their purchasing decisions in an easy to use “handy” format. It lists and evaluates all relevant data for the label industry, clearly arranged according to product areas, thus enabling rapid access to competent information offers. 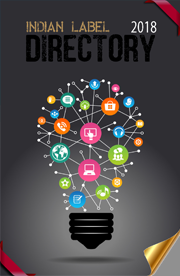 This is an unprecedented opportunity for industry suppliers to be listed in a directory targeted exclusively to their customers as the directory will offer an in-depth look at prominent suppliers to the narrow web industry. 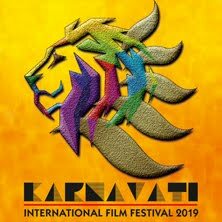 Wishing a happy & joyous Vijaya Dashami..